Coming to a new city can make you feel lost! But it can all become easier if you have a buddy! The buddy system is here to match the international students with locals who can help them navigate the city and teach them all they need to know about their new home, especially during the first few and confusing days. The local ESN sections are going to reach you as soon as possible! If you're an exchange student, this is the perfect chance to find answers to questions you may have regarding Thessaloniki, build your network, learn all about the city directly from a local and get to know the everyday life in Thessaloniki in an authentic way! If you're a local student in Thessaloniki, interested in meeting international people and helping them during their stay, this is the ideal opportunity to do all that! It sounds pretty cool, right? Now, you're probably wondering, how do I get my buddy? The answer is simple: Papaya! 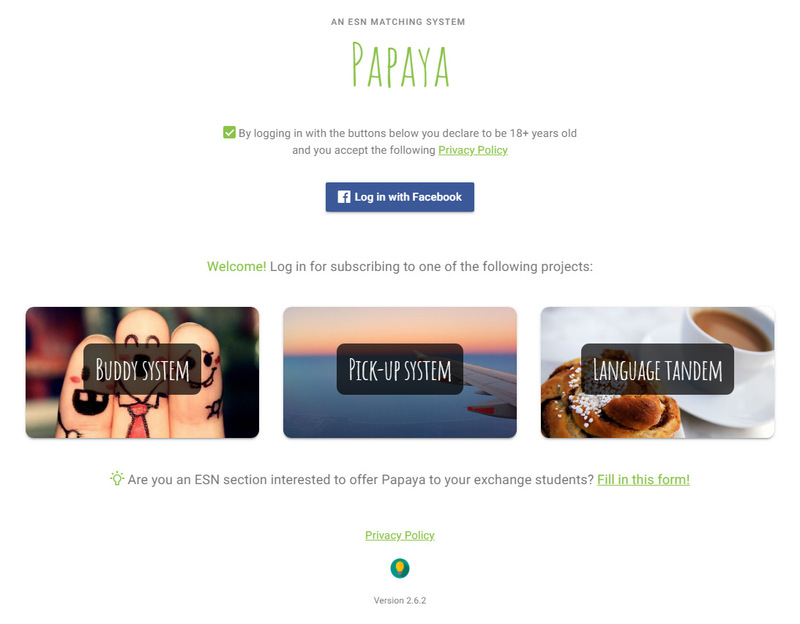 Papaya is a matching tool which helps ensure your buddy is the perfect match for you! All you have to do is click the photo below and follow the steps to find your buddy!